What makes Warren Buffett a great investor – intelligence or discipline? 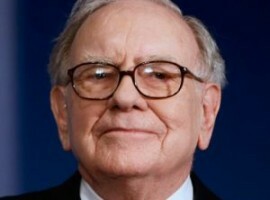 Many consider Warren Buffet to be one of the world’s great investors. Clearly he’s one of the world’s wealthiest men. He’s also one of the most studied men around – everyone wants to know how he does it and to learn his secret. Farnham Street shared this excerpt from Warren Buffett’s 2011 interview in India….